Race Support Takeaway: Chase had a great time clapping for all of the runners. 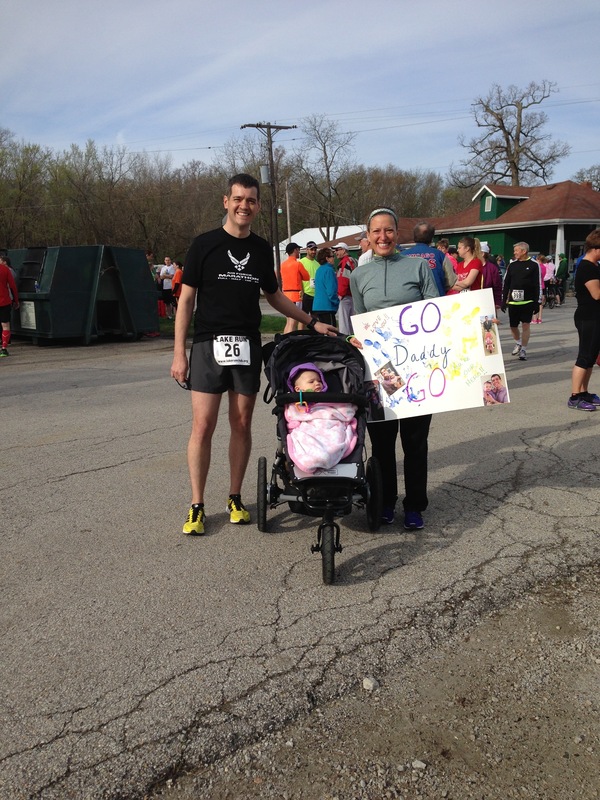 Saturday Rob ran the 2014 Lake Run Half Marathon. This race has a 7K and 12K option, known as the inner and outer loop around Lake Bloomington. This year was the first time that they added the half marathon distance, which ran both the inner and outer loop, plus a little extra. Rob and I have decided that for awhile we will take turns running half marathons. So this time he would be running and Chase and I would be the pit crew. 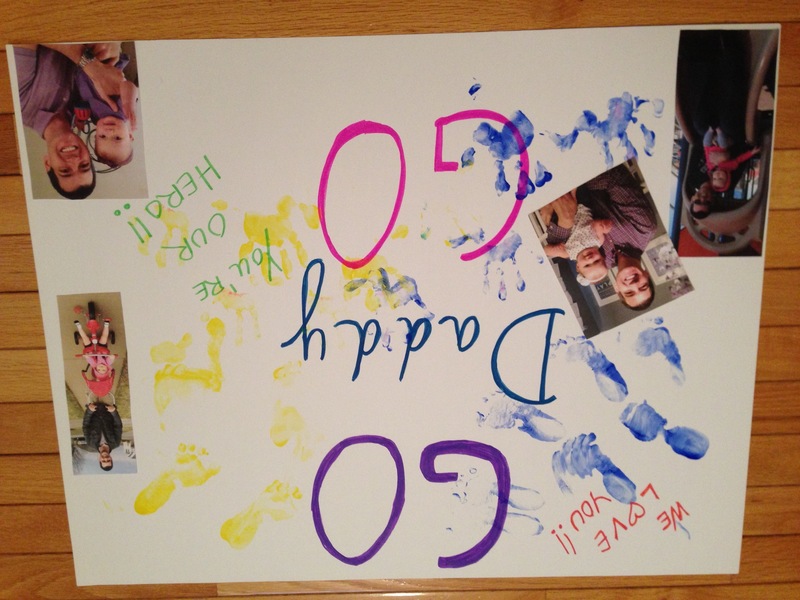 So to cheer Rob on Chase and I made a sign for him. We arrive about an hour ahead of time, which left us more than enough time to visit with friends until the start. The 12K and half marathon start was 8:30 and the 7K was at 9:00. After the start, I was able to get in 1.48 miles running with the stroller, feed Chase, and then we went to watch runners come into the finish. Chase clapped for the first time at this race and was really enjoying cheering on the runners. 😀 We met up with our friend Carissa and her son Joey and we walked to around the 12 mile mark and got to see Rob as he was on his way to the finish. Categories: Race Support | Permalink.